Thread: . ::List of flashlights using the Cree XR-E, Seoul P4 and Lumiled Rebel LED::.::.
. 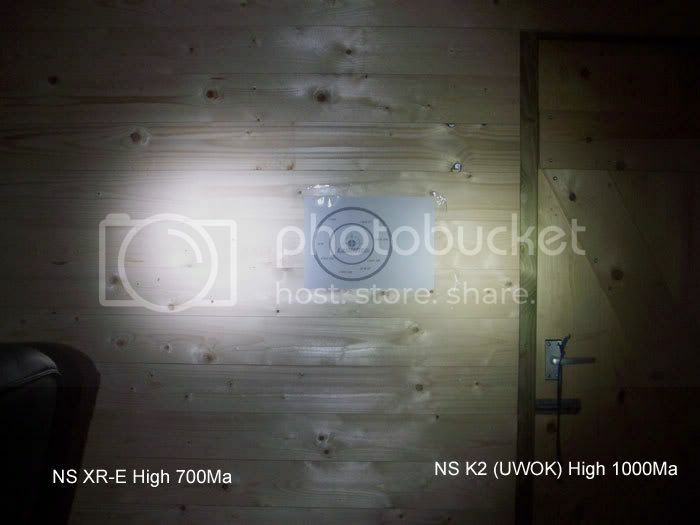 ::List of flashlights using the Cree XR-E, Seoul P4 and Lumiled Rebel LED::. I think is it getting a little confusing about what flashlights out there using the high power LED's. Here is a list that hopefully can make it easier selecting your new high power LED flashlight. If you know a flashlight that should be on the list or you see a error on the list, just let me know either by posting in this thread or writing me a PM, and I will update the list soon as possible. It is much appreciated if you could provide me with a link and the general spec of new flashlights, that will make my job a lot easier, thanks . IncenDio (1XCR123A, Forward Clicky (3 levels + Memory) $52.95 <-NEW! High performance cave lamp (Rechargeable, 2xSSC P4) $??? Model_link|Various_link [BEAMSHOT_LINK|REVIEW_LINK] (Batteri(es) it uses, The switch it uses, other) $Price <-NEW! or <-UPDATED! Forward Clicky = Usual in tail with soft-press for momentary, full-press for constant on. Reverse Clicky = Usual in tail without momentary on, click and release for constant on. Twisty = you either twist the head or tail for on/off. Tactical Twisty = Usual in tail with soft-press for momentary, full-press for constant on. Last edited by whc; 03-30-2008 at 05:42 AM. Last edited by LightScene; 01-05-2007 at 03:50 PM. yeah, its P1D-CE, L0D-CE and L1D-CE. Last edited by 9volt; 01-05-2007 at 09:52 PM. only a matter of time b4 maglite jumps on the bandwagon now. It isn't the life that matters, it's the courage you put into it. yeah, but how much time? 2-3 years at least?? Just updated the tree models. Just updated the Lumapower M1 XR-E. Is there any other Cree flashlights out there, maybe coming soon? I'm not so sure, they took an AGE just to get onto the LED bandwagon. I can't see them keeping this close to the trail. Last edited by grapplex; 02-23-2007 at 01:27 AM. I know this is asking a lot, but are you willing to make a table so we can see battery type, switch type and approx cost also? To research the whole list will take hours. If everyone pitches in what they already know it will go faster. Thanks! please. there are too many of them. a graph/chart that would facilitate choosing would be a godsend. If I could make a comprehensive review of the market I'd make selections in a few minutes -- I would probably buy another half dozen, well, 3, um, one more flashlight..
Just updated the list with some more spec . There are two versions of the CR2 Ion. The regular models still use the Cree XLamp for a wide even beam distribution, and the Ti model uses the Cree XRE for maximum output, but has a more distinct hotspot. There is also a 2-stage, 2x123 version of the A19 XR-E, occasionally available at the Shoppe. These are all being or have been made and sold by McGizmo. Sort of hard to miss the manufacture with the single widest variety of lights using the new emitters. The -S lights are using the Seoul Semi emitter. The First four models are made in titanium. Support your local flashlight builder. Buy American. Stop crying and start Buying. Is that just speculation on your part...or do you have some inside info? 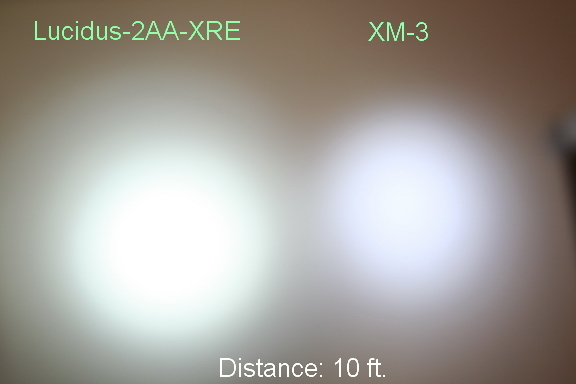 it appears that your list is only for XR-E lights and not for lights with the older cree leds (for example, the original Ion did use a Cree but didn't have an XR-E as you've indicated on the list). if that's correct, maybe you should change the title to read something like: "List of lights using the Cree XR-E"
Last edited by coyote; 01-12-2007 at 03:59 PM. the surefire L1 doesnt have a clicky, its a two-stage twisty. NOTICE: I'm a guy. Im to poor to buy cheap.